B.C. 's Joffre Lakes Provincial Park has been overrun by people looking to get "picture-perfect" selfies, making some wonder whether social media is turning the hiking experience there into a "gong show." Picture-perfect postcard views of three glacial turquoise lakes set against a backdrop of snow-capped peaks: It's no wonder that Joffre Lakes Provincial Park in B.C. is popular for hiking and a photographer's dream come true. But if solitude is your thing, you might want to skip it. Lately, it seems all visitors to the park near Pemberton are posting photos of themselves wistfully gazing out at the lakes or doing a yoga pose with Joffre in the background. If the lineup of parked cars around the Joffre Lakes trailhead on the Labour Day long weekend was any indication, the popular Sea-to-Sky hiking trail was likely overrun with hikers. Ryan MacDonald, who took the video of the overcrowded parking outside Joffre, says he was in the area looking to go hiking when he saw vehicles lined up almost two kilometres from the trailhead. He has gone up several times, but he's never seen it like that before. "I wouldn't bother. It would be a gong show up there. When I was in the parking lot, I saw people going up with umbrellas and flip-flops. It had been raining heavily that day, so that would have been a terrible decision from a personal safety standpoint." And many say social media is to blame. "It seems like Instagram has taken it to a whole other level," said hiking columnist Stephen Hui. "It has definitely made people want to get these picture-perfect shots of themselves, the perfect selfie in some epic scene with a waterfall or a mountain behind you, a rainbow ... and it seems like so many people are doing this just to get those shots. "And it's leading a lot of people who weren't maybe hikers to do these one-off, infrequent hikes. I think it's also driving a lot of people to converge there, just because they want to get those same, perfect poses with yoga poses and tents set up." This overcrowding has led some individuals, like Hui, to change their hiking patterns. "Garibaldi lakes has always been popular but now it's crazy popular," he said. "I don't particularly like going to the area even though it used to be one of my favourites, because it's too many people, not enough solitude." Some people say they have even stopped geotagging the location of their hikes, so that the lesser-known spots retain their anonymity. Hui says it's not uncommon for him to receive a note from an annoyed reader for ruining a hidden gem, after he has written about a new hike. Here's the rub: Social media is, well, a social conversation. It's how people find out about what is trending and interesting, so it's not surprising that Joffre Lakes has become increasingly popular as more and more people share their images of it on Instagram, Facebook and other sites. But hiking, for many people, is inherently a non-social activity with many seeking peace and solitude, away from the crowds. Both Hui and MacDonald feel there are plenty of hikes that skip the parking madness. "Personally I think the casual hiking crowd in Vancouver only knows maybe five to six hikes — the Chief, Garibaldi, Joffre, Lynn Valley — and they don't really look farther afield," MacDonald said. The overcrowding is also putting strains on B.C. parks in other ways. The B.C. Federation of Mountain Clubs has been running a campaign to get people to document the disrepair and needs of B.C. parks on social media with the hashtag #FundBCParks. 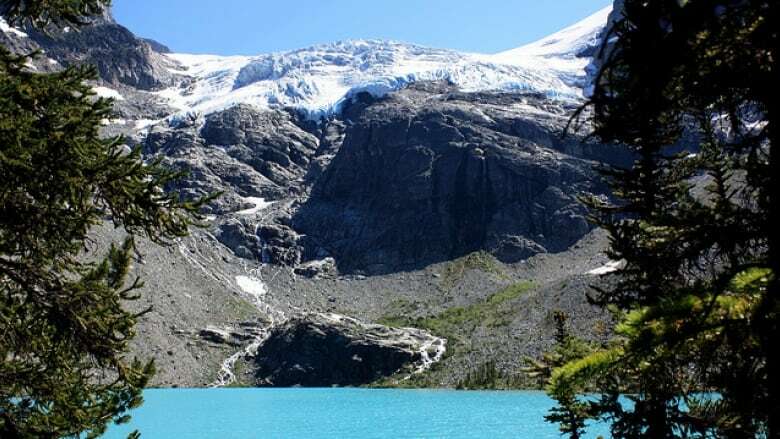 Making improvements to the Joffre Lakes parking situation definitely falls into that category, says the club's executive director, Jodi Appleton. MacDonald says he would support day-use fees, if the revenue went directly to B.C. Parks. Quebec, for example, says every dollar collected in entry fees is reinvested back into protecting its parks. But many — including Appleton and Hui — don't like the idea of park fees. Instead, they say, perhaps it's time to consider other types of crowd control, particularly in ecologically sensitive areas. "Some people have suggested having some sort of hiking shuttle that would go especially in the really nice days in the summer. Those hikes having some sort of shuttle that people could pay a fee to get up there," said Appleton. Others wonder if it's time to introduce a lottery-based system or reservation for popular day hikes, similar to Lake O'Hara in Yoho National Park or other U.S. parks such as Yosemite. "A publicity campaign for some of the lesser-known hikes from the Lower Mainland would be awesome," adds MacDonald. B.C. 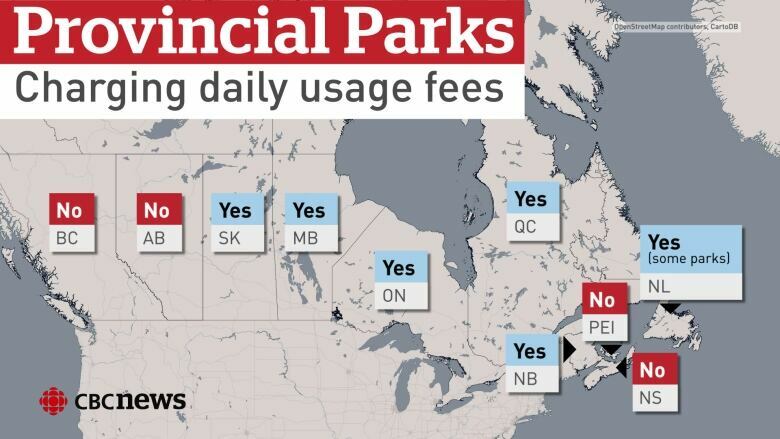 is one of the few provinces that does not charge a vehicle pass or day-use fee. It did, however, have parking fees for all provincial parks, but that was waived by the B.C. Liberals in 2011. 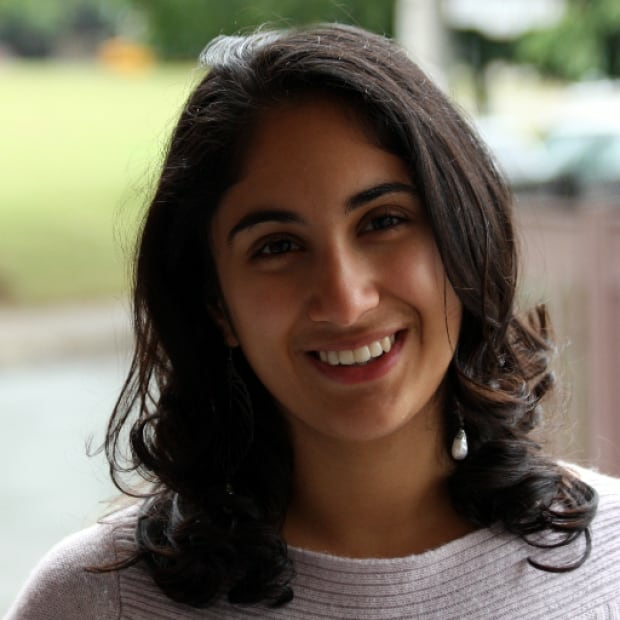 Tamara Baluja is the social media editor for CBC Vancouver.